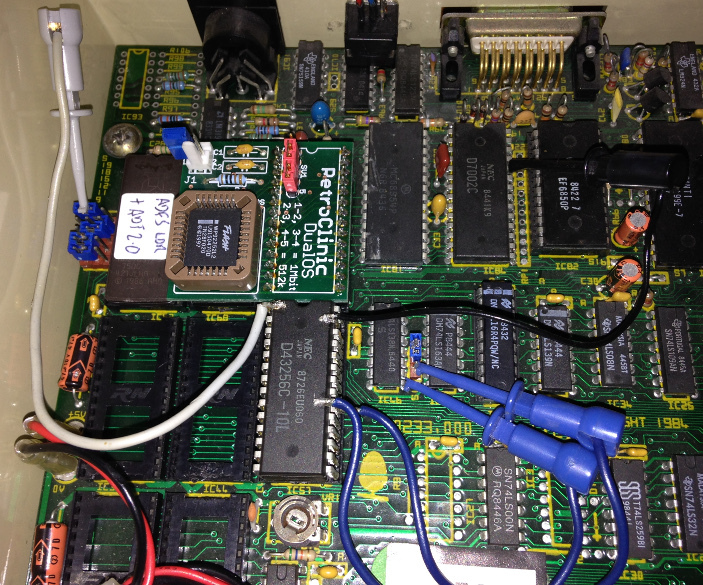 Here's an alternative method of upgrading a B+ 64K to 128K. Its simpler than the Acorn upgrade, and 100% compatible. Fold pins 1 (A14) and 27 (WE) up on all three devices. Fold pin 20 on the top device up, and on the middle device out horizontally. 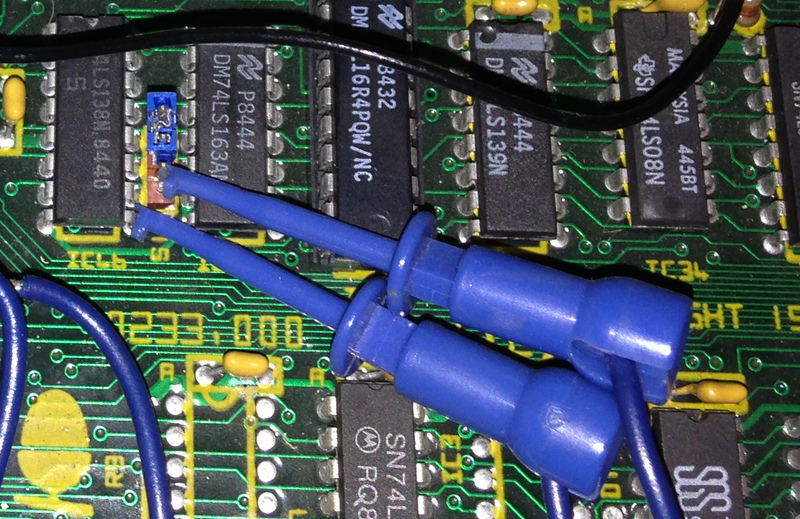 Attach an 'ezihook' (or equivalent) to the pin 1 group, the pin 27 group, and the two extra pin 20s. You now have a three high ROM module, with 4 'ezihooks' attached. Job done, and you've got an extra 32K of sideways RAM too! Note that unless you have a version of the DFS ROM with the SRAM commands in, your startup banner will still say "Acorn OS 64K", as the code to include the sideways RAM in the startup banner is in the newer versions of the DFS ROM. The DFS 2.26 ROM (available from the BBC Lives page here) is known to work. The utility available here will check for Sideways RAM banks. If your RAM is installed correctly it should detect RAM in banks 0,1,12,13 and two other banks, depending on which socket you installed the module in.